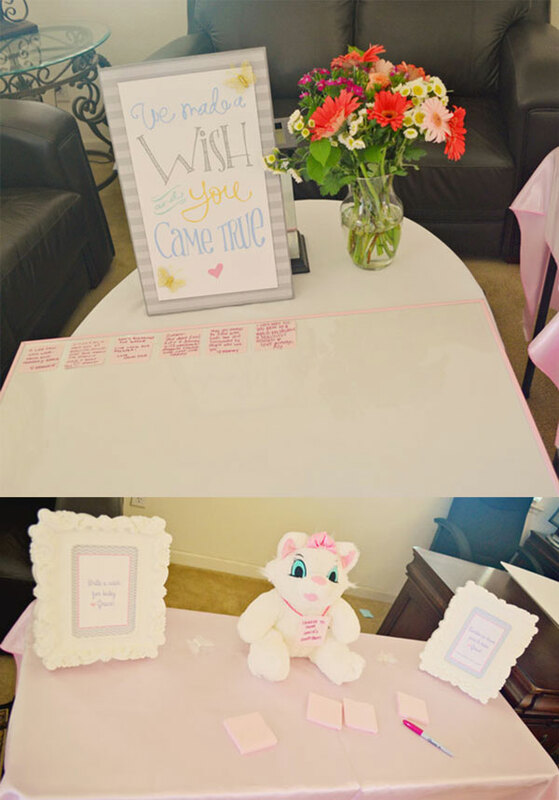 I was thrilled to help my amazing friend, Kim, with her daughter Makayla’s baby shower. Baby Grace has now been born and is the cutest little mini Makayla! She is so surrounded by love as was evidenced by this party. 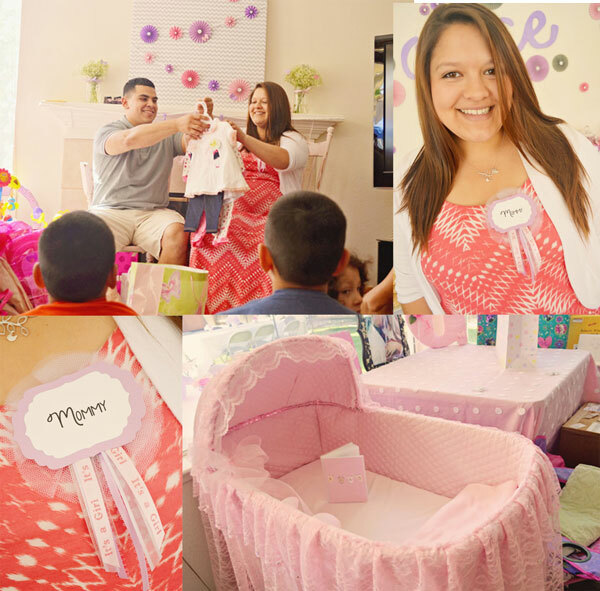 We focused on making the decor closely match her nursery theme: pink, purple, gray & white chevron, and butterflies. Kim hired a taco truck (super delish) for lunch and we created a yummy candy, crispy treat, and cupcake buffet for dessert. Covering a piece of foam core with fabric is a quick and inexpensive decor element. I then added a paper medallion garland for the perfect look. Makayla really wanted tulle covered balloons so we added them to the bannister. 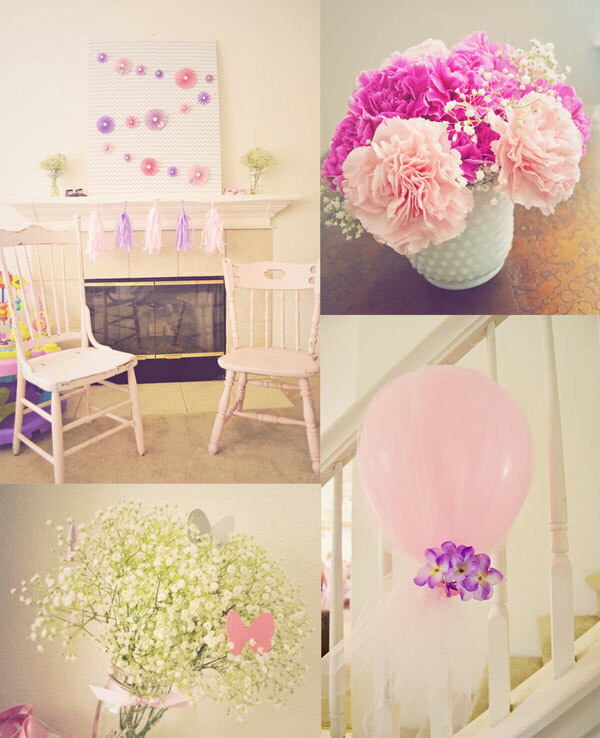 I kept the flowers simple with carnations and baby’s breath which really completed the look. 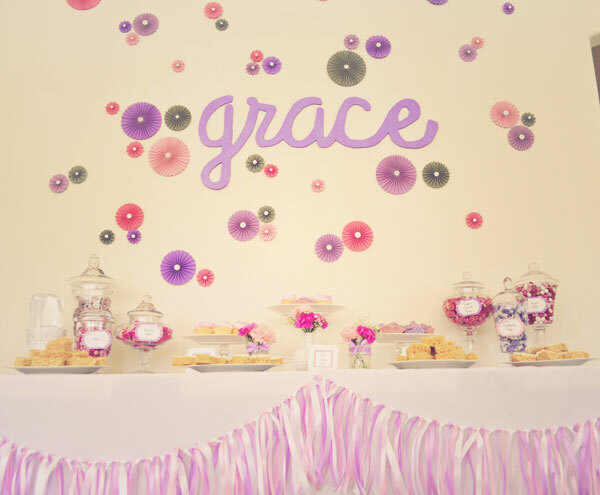 For the dessert buffet I crafted a wall full of medallions and a beautiful ribbon garland. I cut the word Grace out of foam core and painted it with acrylic paint. It’s a bit hard to tell from the photo, but I also added a coat of glitter! We purchased all pink, white, and purple candy for the buffet. 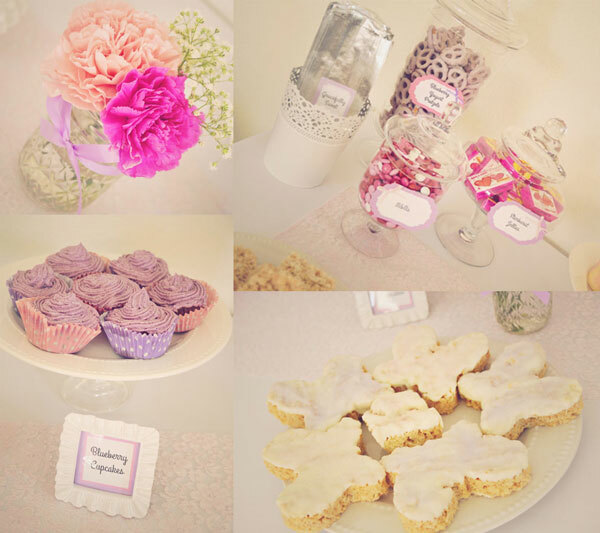 We had vanilla cupcakes with pink sparkly frosting, blueberry cupcakes, crispy treats with white frosting, blueberry yogurt pretzels, m&ms, taffy, and kisses. As guests entered, Kim had them write a message to Grace that she created a collage out of to put in a shadow box later. The stuffed kitten had a recording of Grace’s heartbeat that played when you pressed the belly. Too adorable! 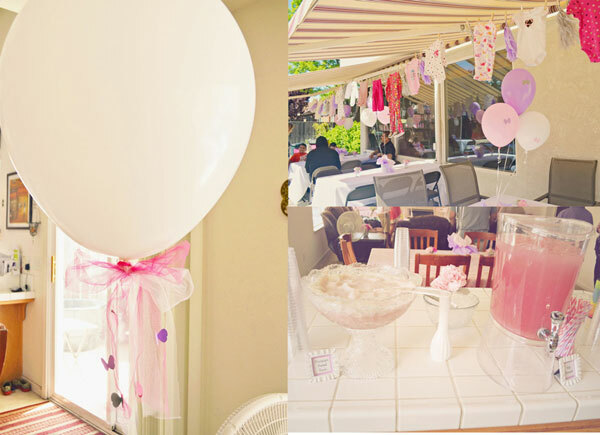 Other elements were champagne punch, pink lemonade, a giant balloon, and hanging baby clothes. The smiles on Hector and Makayla’s faces say it all. They were so excited to become parents and loved their gifts. The bassinet was completely redecorated by Makayla’s grandma, and was the bassinet she used as a baby! This was such a fun day and I can’t wait to watch Miss Grace grow!